Ah, time travel. The ol’ sci-fi standby when the present gets just a little too hairy and the past needs to be tweaked. That’s the noble option. The alternative is messing with the time stream because you’re struck in the distant past and have nothing better to do. Enter the Cosmic Ghost Rider who will be doing just that in COSMIC GHOST RIDER DESTROYS MARVEL HISTORY, a six-part limited series from writers Nick Giovannetti and Paul Scheer and artist Gerardo Sandoval that kicks off with its first issue today! Before the Cosmic Ghost Rider has fun with the very fabric of the time-space continuum, however, we decided to recap some of the best and strangest time travel moments in Marvel Comics history that have to do with traveling back to and/or altering the past. 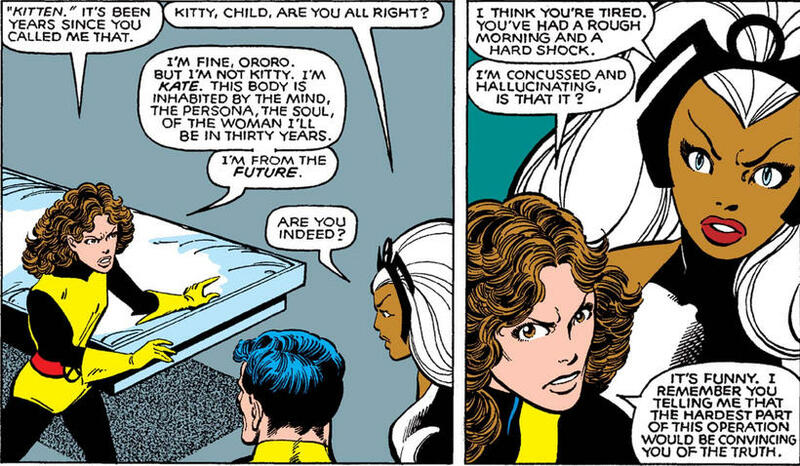 In Chris Claremont and John Byrne’s iconic 1981 storyline told across UNCANNY X-MEN #141-142, Kitty Pryde sends her mind back to her younger self to prevent the Sentinels from wiping out all superhuman individuals in the 21st Century. Among the victims are Nightcrawler, Scarlet Witch, Beast, The Thing, The Hulk, Captain America, Black Panther, and even Doctor Doom! 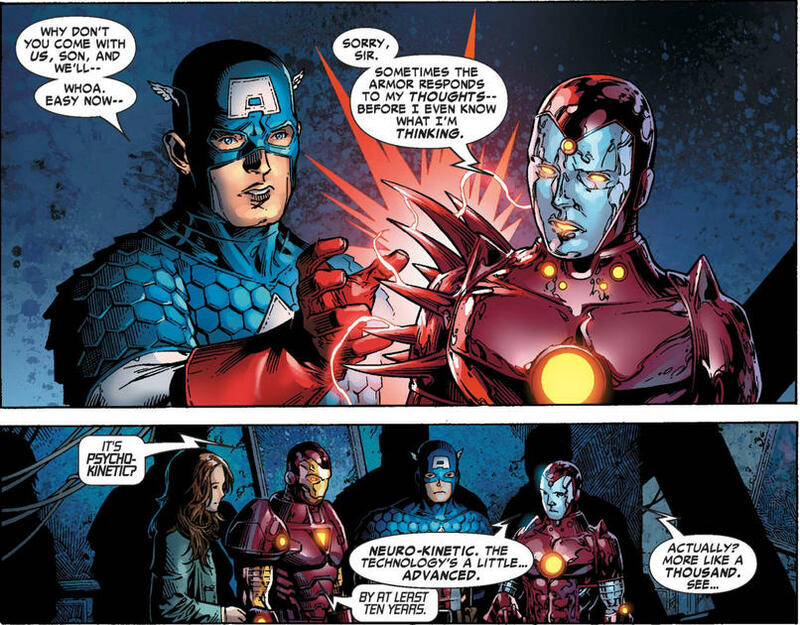 Iron Man, Jessica Jones, and Captain America meet a mysterious member of the Young Avengers whose supersuit is made up of technology so advanced that Tony Stark hasn’t even seen it before. This mystery man (more like “boy”) is Iron Lad, revealed to be a young version of Kang, who has traveled back in time from the 30th Century. He had met his older self and didn’t like the villainy and arrogance one bit, so he went back in time to find the Avengers and prepare for a fight against his future self. When Doctor Doom made his comic book debut in 1962, he took the Invisible Woman captive and sent Mr. Fantastic, Human Torch, and the Thing back in time to collect Black Beard’s Treasure. The people of the olden days think that Grimm is a demon so he has to dress up as a pirate. Ransom aside, that’s pretty funny. 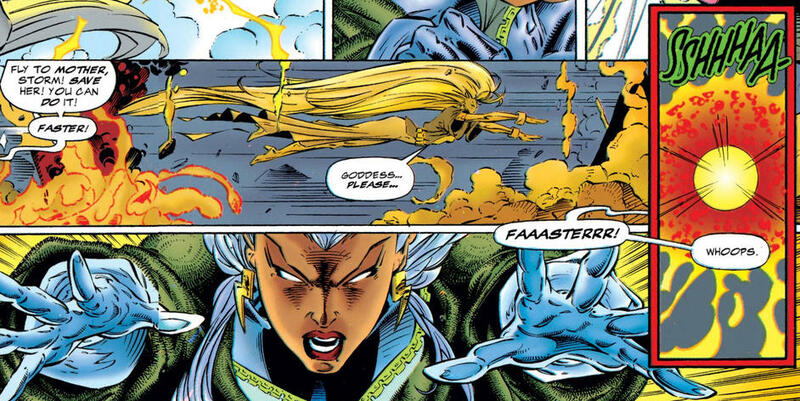 Legion took Storm back into the past and gave her the chance to save her mother from dying, but brought her back to the present before she can truly alter anything. Now, that’s a cruel joke. In DOCTOR STRANGE #18, Doctor Strange went off to fight a sea demon in Atlantis in 1775. 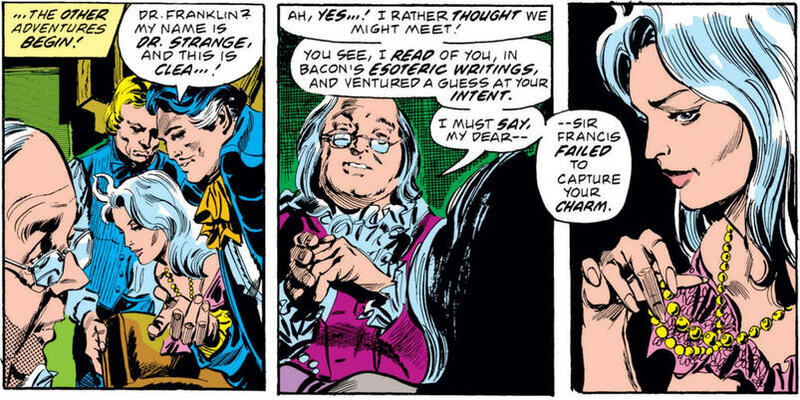 Meanwhile, Benjamin Franklin (yes, that Benjamin Franklin) seduced his girlfriend, Clea. Not cool, dude. 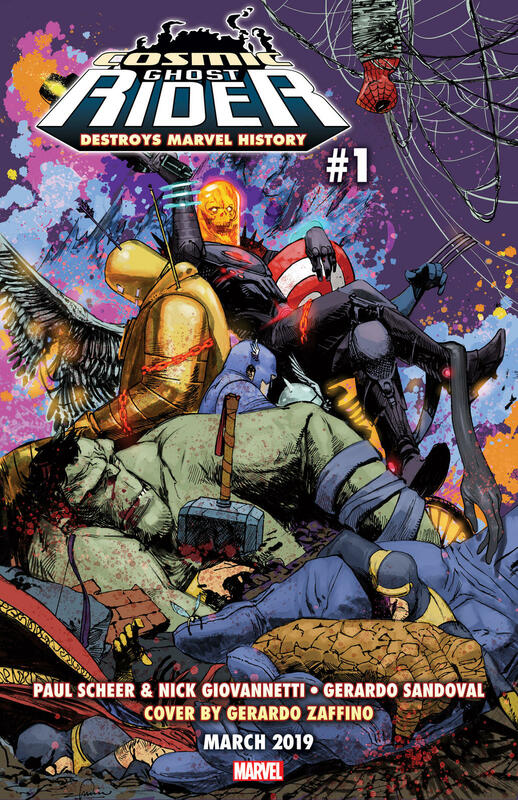 COSMIC GHOST RIDER DESTROYS MARVEL HISTORY #1, written by Nick Giovannetti and Paul Scheer with art by Gerardo Sandoval, is available now online and at your local comic shop!